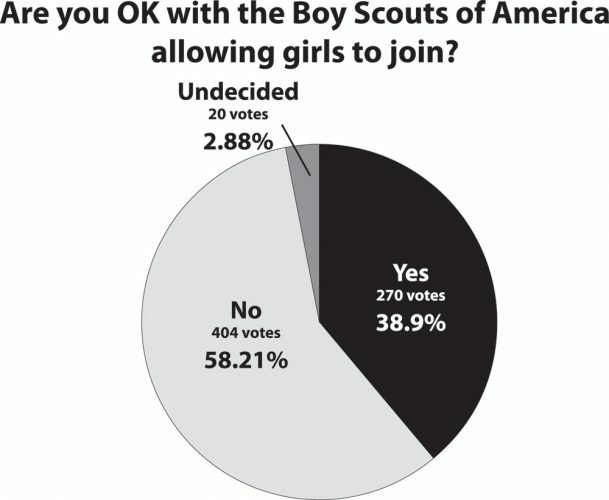 This week’s Web Poll: Are you OK with the Boy Scouts of America allowing girls to join? 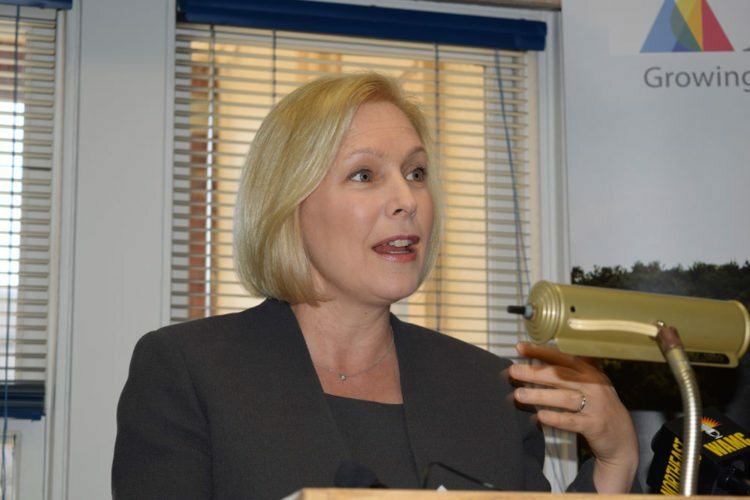 Yes, No, Undecided --- This poll is not scientific, and its results represent only the opinions of Internet users who have chosen to participate. 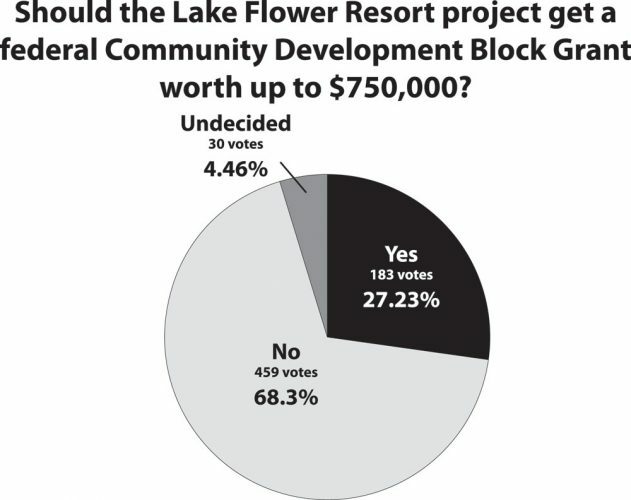 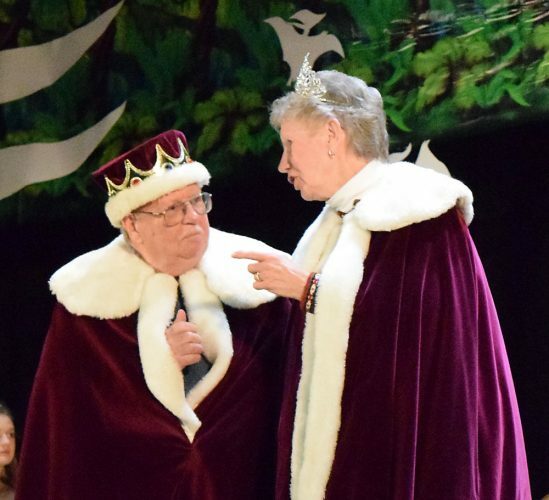 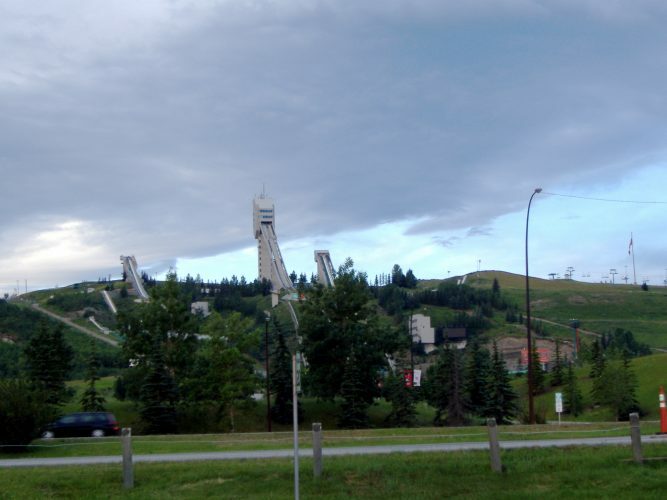 This week’s Web Poll: Should the Lake Flower Resort project get a federal Community Development Block Grant worth up to $750,000? 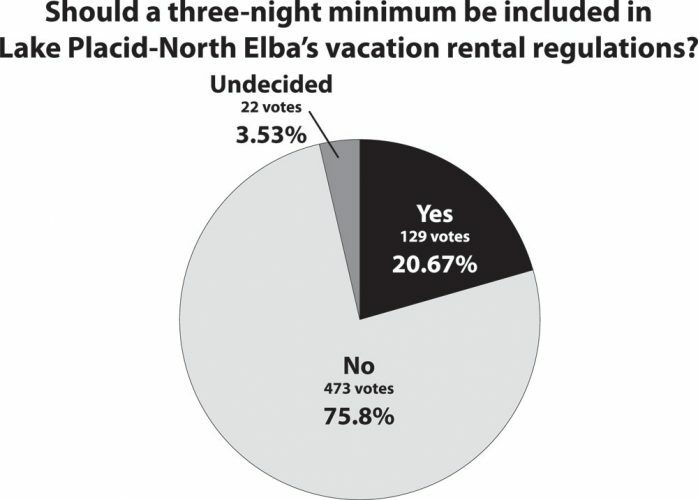 Yes, No, Undecided --- This poll is not scientific, and its results represent only the opinions of Internet users who have chosen to participate.